Built in 1951 by Auster Aircraft Ltd at Rearsby, it was retained by the company until 1954, being completed as a J5F, then modifed as a J5K (the only such aircraft) and J5L. That's where it gets complicated!!! The airframe was fitted, at various times, with a De Havilland Gipsy Major 1 of 130hp or a Blackburn Cirrus Major 3 of 155hp, as it has now. 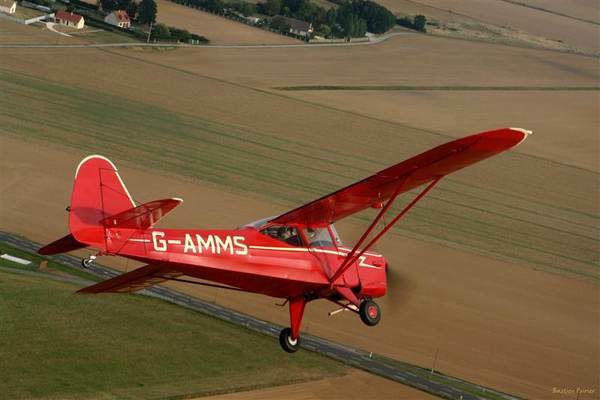 It has the Auster Aiglet Trainer’s shortened wingspan (from 36 ft to 32 ft, to increase the aircraft’s roll rate) and strengthened structure to enable aerobatics to be performed. Cliquer pour accéder à la galerie photo de G-AMMS. It was in this very aeroplane that the 'Porteous Loop', or 'Avalanche' or a loop with a flick roll in the top was first devised. 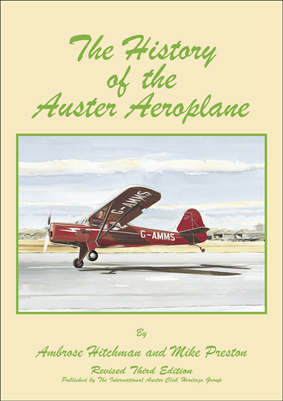 Ranald Porteous was Auster's Chief Test Pilot. Later on it was owned by British comedian Jimmy Edwards.